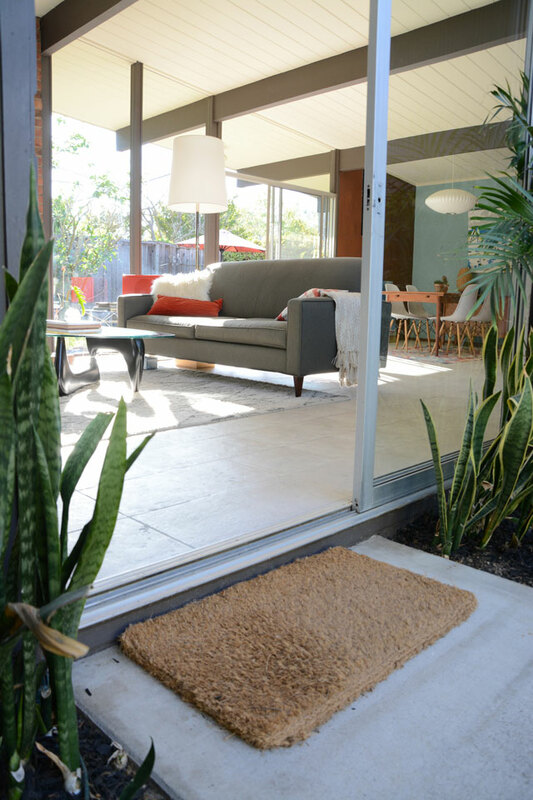 All hail the symbol of mid century modern living: the Eichler home. 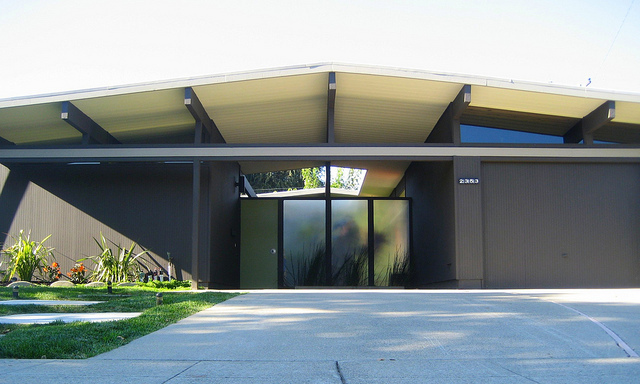 Joseph Eichler was a real estate developer during the 50’s and 60’s whose vision was to build communities of affordable housing for families with great design in mind. He was not an architect or designer himself but commissioned the design firm Anshen & Allen for the task. I just wanted to clarify this since it seems to be a common misconception. My hottie of the week actually belongs to a friend and former colleague, Karolina, and is located in the Willow Glen neighborhood of the South Bay (a.k.a. the area south of Palo Alto, or to most San Franciscans, anywhere south of San Francisco). 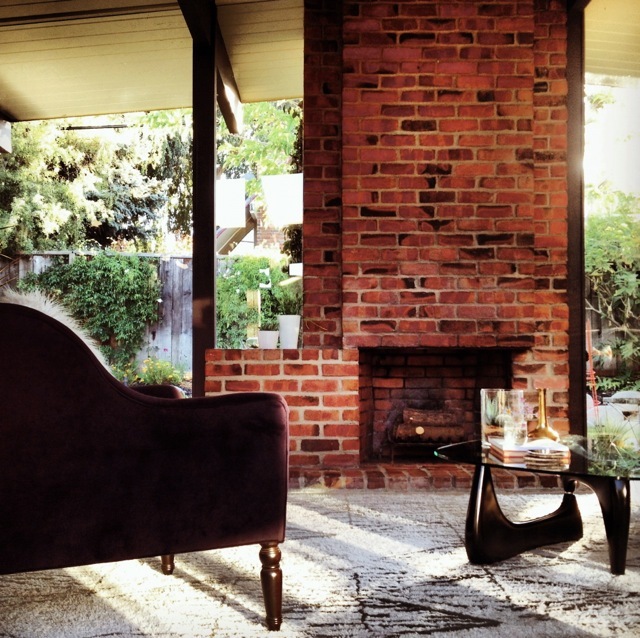 She is my cohort in our shared love of all things mid century, but unlike me, she actually lives in a mid century modern house. Karolina and her husband, Dave, purchased the gem about 2 years ago. 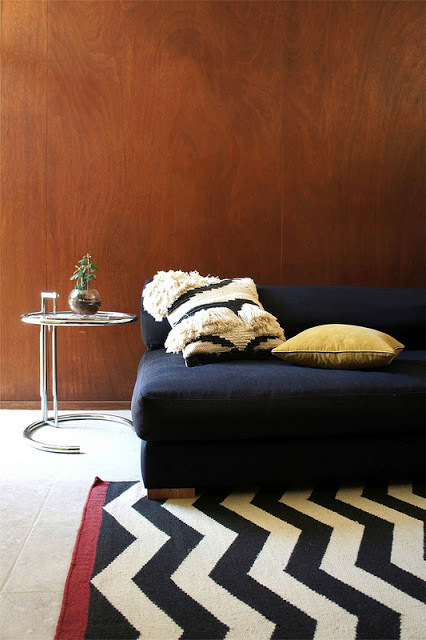 With great taste and a commitment to original mid century aesthetics, they spent many weekends working on refinishing and furnishing the home to their liking (hot alert: Noguchi coffee table). What’s nice is that they kept many of the original details that are distinctively Eichlerish, like this mahogany wall paneling. 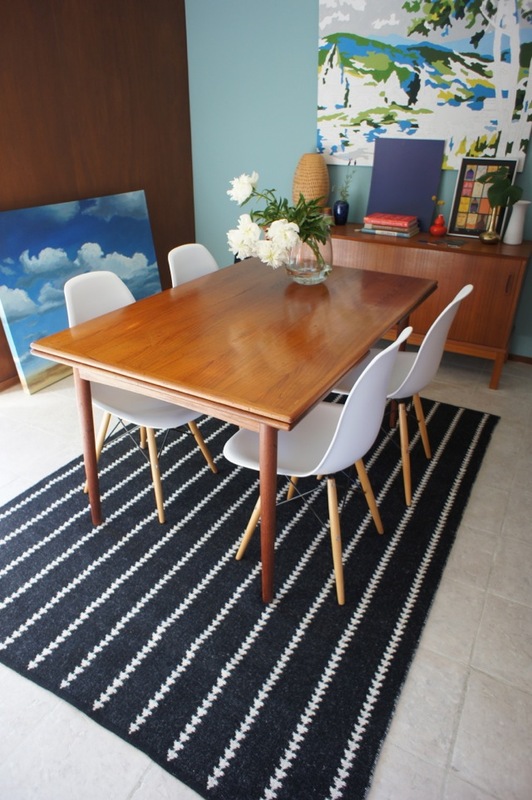 If you’re allergic to wood paneling, here’s your cure. 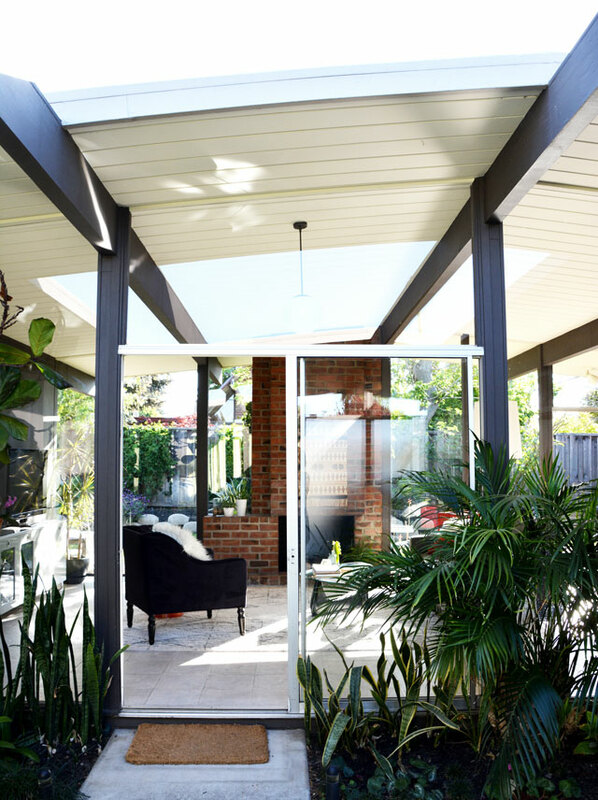 The warmth of the mahogany contrasts nicely with the cool, minimalist aesthetics of an Eichler…. ….and provides an interesting backdrop to any room on its own – no artwork required. And bless their hearts for not transforming their kitchen into everyone else’s kitchen. 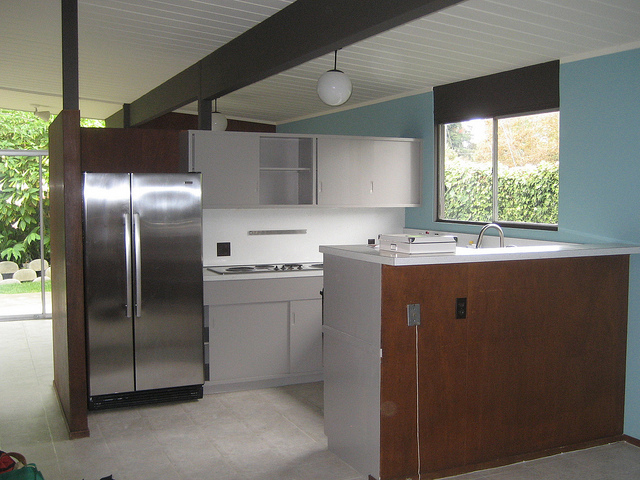 Mid century homes were meant to have mid century style kitchens…and appliances. 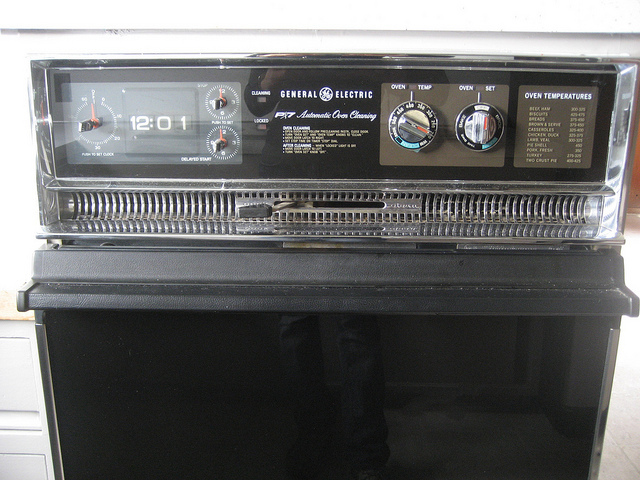 No, it’s not a stainless steel professional range. Please don’t tell me that everyone who has one of those in their homes is a professional chef. I love the clock…it’s timeless. What I find most appealing about Eichlers is the use of glass everywhere to bring in the outdoors and blend nature with living spaces. Windex must have made a killing when these homes first popped up. Crowning this house hottie of the week was easy. 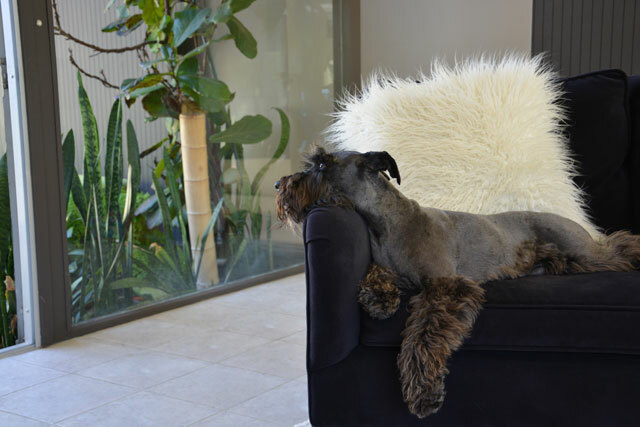 Plus, there’s Winston, their super cute dog who seems to fit right in with its modern design. Karolina and Dave, congrats on nabbing my hottie of the week award. Here’s to your dedication and hard work, and may you continue to enjoy and love your iconic home for many more years to come. Pssst – I’m still waiting for my official invite, but no pressure. You only won my most prestigious award ever. All photos were provided by Karolina Büchner. To read more about hottie of the week, please go to Karolina’s beautiful blog: dear house, i love you.